On this page you can find publications about the garden and articles we have written. Our garden was presented in Hagetidend in the May edition,magazine No. 5 of 2008. It was written by Bjørg Raybo with photo of Tommy Tønsberg. 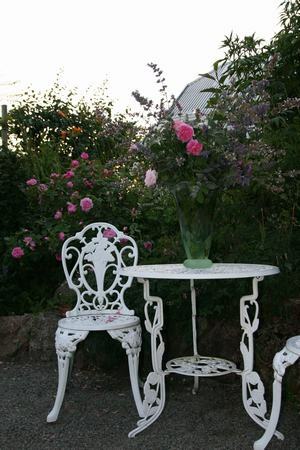 The pictures were taken summer 2007.Hagetidend is the magazine made by the Norwegian horticultural society. 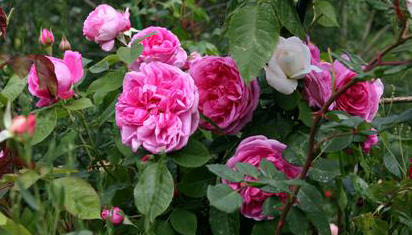 This article was published in the Norwegian rose society magazine Rosebladet, the article is about a mutation in Rhapsody in Blue. Published spring 2008. Mutation on Rhapsody in Blue bye CRHJ i pdf format.